Strange Magic is a music-filled fairy tale about finding true love in the unlikeliest of places. This magical adventure features a host of colorful characters including a princess who has sworn off love, a dubious villain, a slightly nutty Sugar Plum Fairy, a tenacious elf, a mischievous imp, and a knight who is no Prince Charming. Bring home the enchanting tale the whole family can enjoy today! 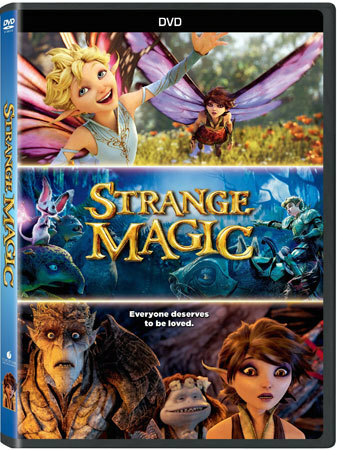 Exclusive Clip: "Strange Magic Mashup"
Strange Magic is available on DVD May 19th! Which famous fairy is your fave?